OK so I am all about being thrifty and I cannot always justify paying a ton of money for a product that I don't need. So to make myself feel better about not being able to have all the products that I want, I make a list and lust after them until I get over it. 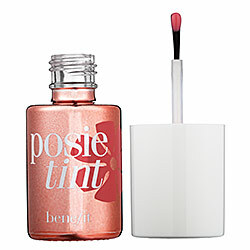 My number one thing I am absolutely totally obsessed with it from Benefit. Its a lip and cheek stain called Benetint. I like the Posietint and the Benetint but not the Chachatint... it is just waaaay to orange for my taste. These are pretty pricey, around $30. 00. The one I absolutely would die for is the Posietint. It is the prettiest barbie pink color EVVERRRRR. The second thing I want is the Urban Decay Naked 2 Palette. It just came out and it will cost you about $50. 00... 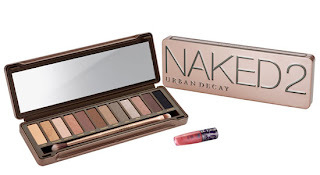 So yea pretty pricey but you get lots of beautiful colors and a lip gloss and a nice quality brush... at least that's what I tell myself when I try to justify why I need it. 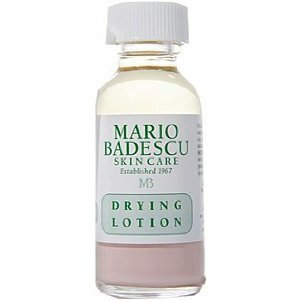 The third thing I want is the Mario Badescu Drying Lotion. This stuff is cool because it comes to you all separated like in the picture and if you shake it up it wont work anymore! Seriously yall, fight the urge. If you can manage not to shake it, you stick a q-tip down to the bottom and dab the mud part on a blemish. This stuff is supposed to be great and will only set you back about $18. 00. However since I don't really break out I would just be buying this stuff to play with. So now yall can drool all over these splurges with me!! !